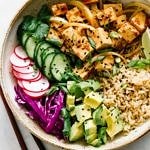 Looking to stock your kitchen with whole food, vegan items? 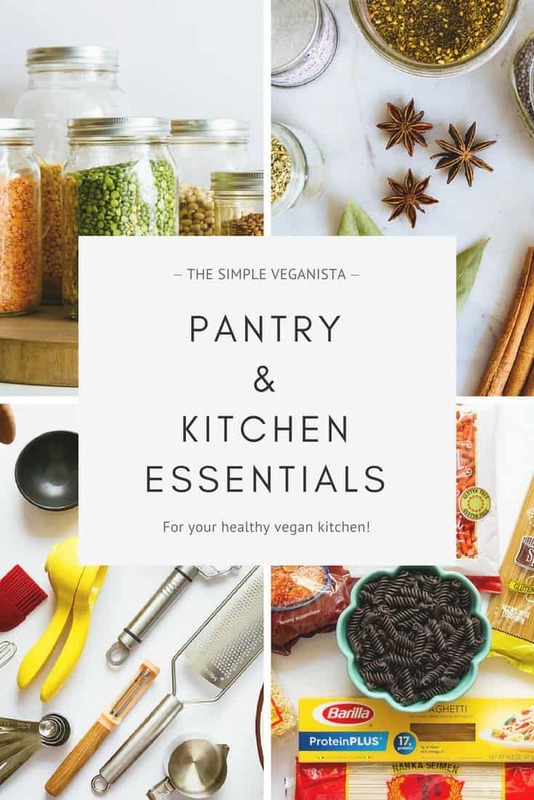 Let this comprehensive guide help you build a healthy, plant-based kitchen pantry! 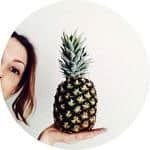 From pantry, to cupboards and refrigerator, the following is a list of what you’ll find in my vegan kitchen. All pantry and refrigerator items are part of a healthy whole foods diet. Most I have used and can be found within the recipes, some items are used more frequently than others. As for the equipment I have listed, these are the items that suit my kitchen cooking style and find to be useful. 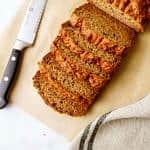 I hope this will encourage you as a guide for your own kitchen and any changes you’re looking to make. Most items are easily accessible and reasonably priced, making eating a plant-based diet easy and affordable. It’s just a matter of pulling together meal plans and routines to suit your lifestyle. I hope you find lots of inspiration here at TSV! These are the main proteins in a vegan diet. They are inexpensive and extremely versatile. 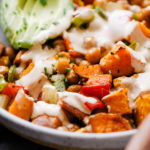 From hummus (which I eat almost every day), veggie burgers, tacos/burritos, soups, salads, stir fries and even pasta dishes, all types of legumes can be used in various ways creating an endless supply of high protein plant-based meals. 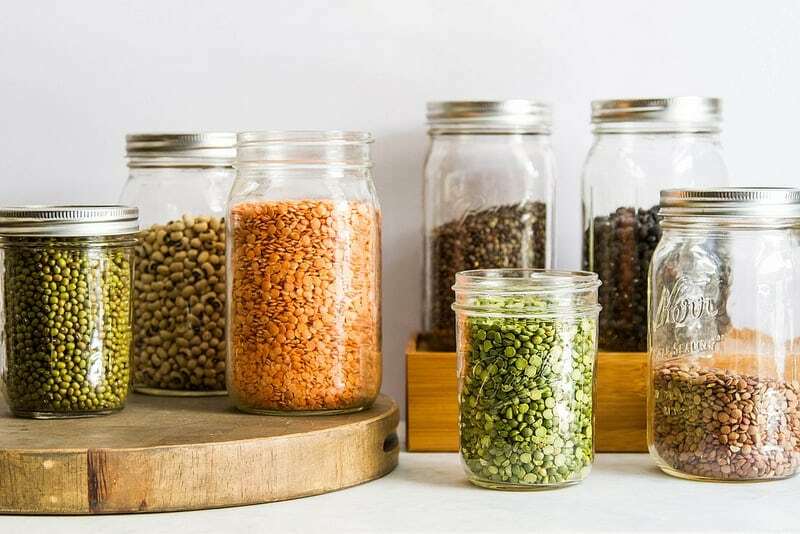 Legumes are low in fat, high in protein and fiber, and carry essential micronutrients and phytochemicals to keep you at your best. Fresh is best, but canned is great too for those who need a more convenient option. 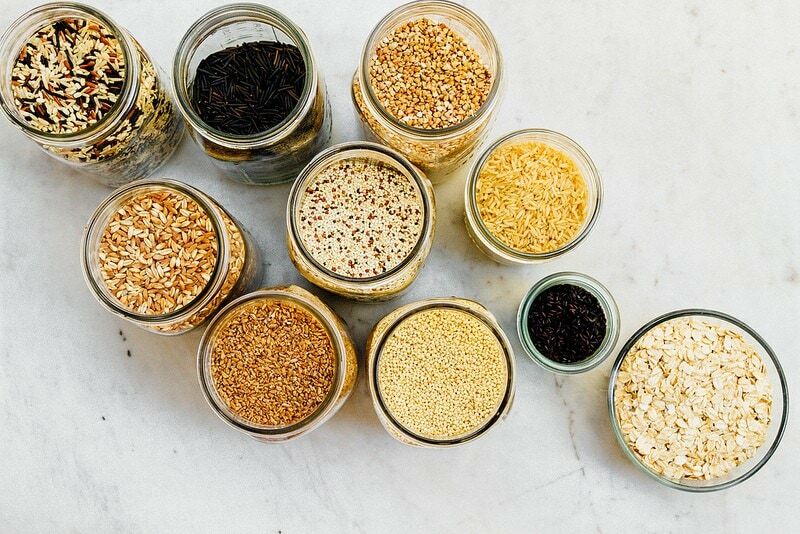 Grains make for great fillers and main meals. Full of fiber and protein, fuel up with breakfast foods like oatmeal, muesli and quinoa porridge. For the later meals, add a rice of choice, farro, wheat berries, quinoa, etc. to complete your main meals. Many of these are gluten free and should be used as part of a healthy diet. A good pasta dish is so comforting. My favorite pasta is the soba noodles with the quinoa, brown rice and spelt next. I love to make stir fries, soups of all kinds and good old-fashioned pesto and spaghetti dishes. 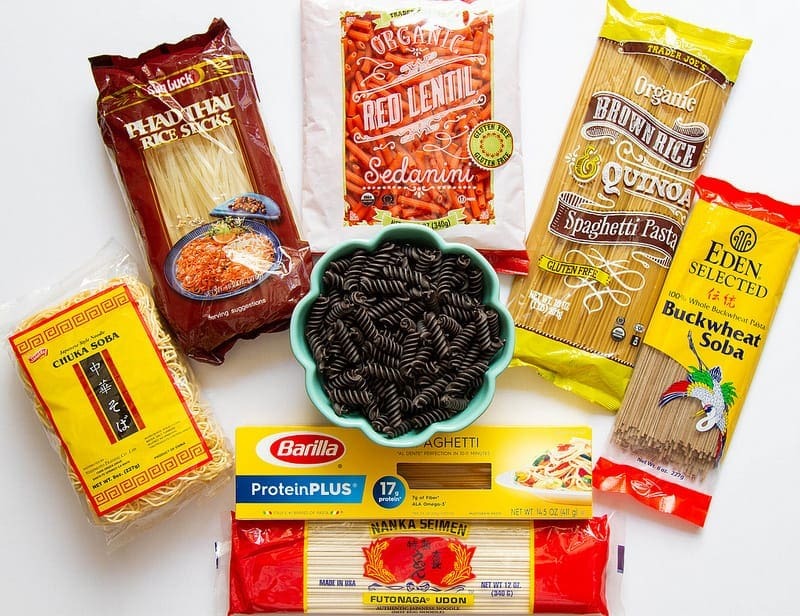 Each pasta has its place and keeps my pantry varied. If you love baking and pancakes, flour is going to be essential. 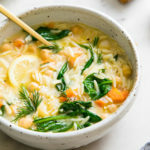 Even if not, you’ll want to have some on hand for recipes that call for small amounts (like when thickening gravies or sauces). My favorite flour is spelt, which bakes up beautifully, making for perfect pancakes, muffins, cookies and breads. Following spelt would be almond, buckwheat and chickpea flour. I usually have about 4 flours on hand at any given time, all of which I store in the refrigerator to maintain freshness. All around great as toppers and snacks. You’ll be amazed what you can make from nuts and seeds…i.e. tahini, cheeses, nut meats, nut butters, raw truffles, etc. A nice assortment on hand will be a plus! I store mine in mason jars and keep them in the refrigerator for freshness. Use these as snacks and toppers, or mixed with nuts. Make raw truffles and desserts. You can also use dried fruit in the DIY Muesli Mix for a quick breakfast idea. Try adding dates to your smoothie for sweetness. I love taking dried mango slices with me on the go to snack on. As with nuts, a nice variety is good to have on hand. Dried fruits are fine stored in the pantry, but will keep longer in the refrigerator. Natural sweeteners, my favorite and most used is pure maple syrup. Dates are a favorite as well to sweeten shakes and smoothies. Coconut sugar has a wonderful caramel flavor, like brown sugar, that I love to bake with. Spices are what will make your meals come alive. I love the simplicity of allowing my vegetables to shine, but sometimes I like to use many spices at once to really make a dish flavorful as possible. I have a large selection in my pantry, but find that I usually stick with a few key ones that I love. 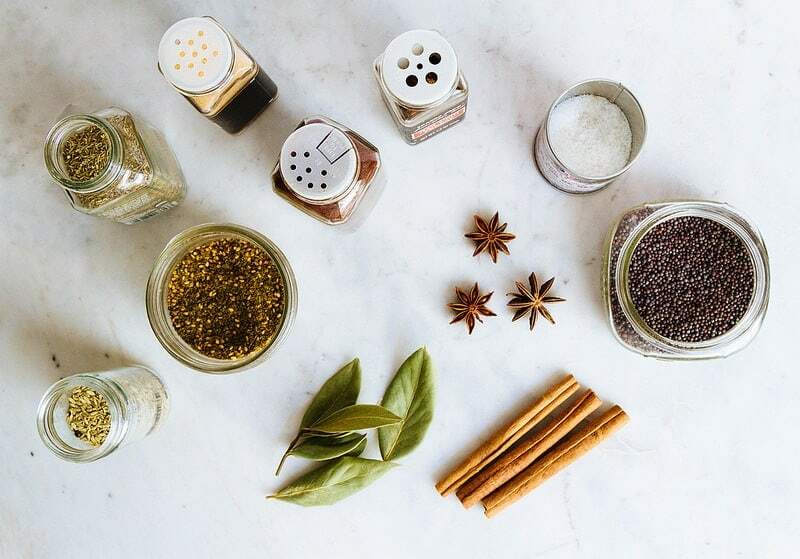 Use spices to take old recipes and change them up using a different blend. Some I prefer to use fresh like basil, cilantro and parsley while the rest I’m happy to use dried. I recommend purchasing the freshest dried herbs and spices you can find for best flavor! I try to use oils sparingly as possible, but do keep a few on hand. There is no butter in my kitchen, other that nut butters, so oil is essential and used in its place. Depending on what my dish is going to be will depend on my oil. 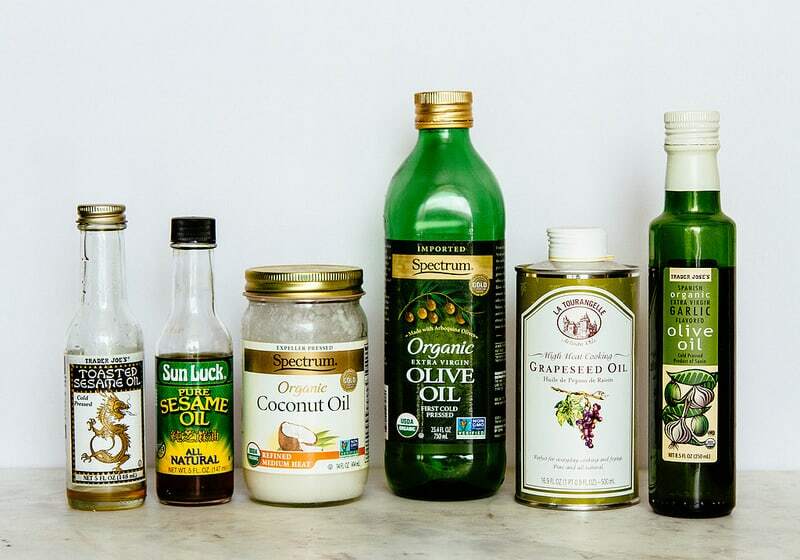 I use coconut oil for most of my baking, sometimes I’ll use olive or grapeseed oil. Sesame oil is used mainly for stir fries. When roasting vegetables, I use either grapeseed, olive or coconut oil. Extra virgin olive oil is used for dressing and non-heat recipes. Vinegar adds a nice zest and tang to dishes. Great in stir-fries, salad dressings and soups. They also lend a hand when an acid is needed, like making vegan buttermilk and cheeses. A good assortment of these will go a long way. You can do so much with all of these. From dressings, dips, sauces, spreads and toppings, these are essentials. Of course I want you to cook from scratch as much as possible, but I also realize that not everyone has the desire or time. 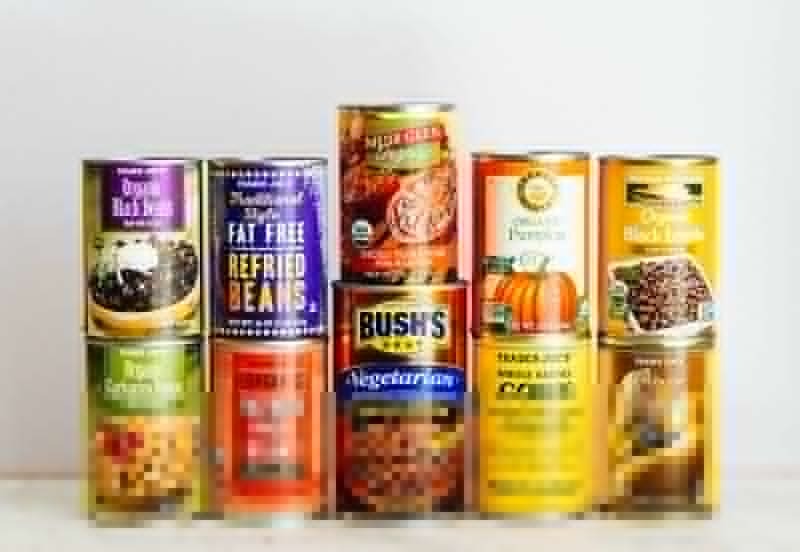 This is where canned goods can be a great saver of time and energy. 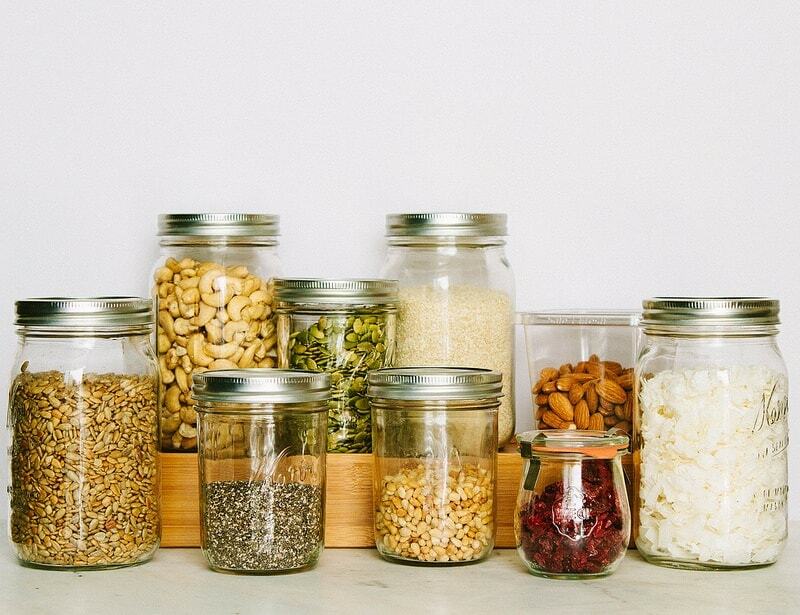 Keeping a stocked pantry with some of these essentials means you’ll be able to pull something together. Try to buy bottled items whenever possible and look for BPA free cans. More base essentials to have on hand to throw together with fresh produce or baked up into something wonderful. You’ll find these trusted items in my refrigerator. Almond milk and miso being my most used. Some are quite obvious, while others not so and I keep in the refrigerator for maximum freshness. The kitchen tool list is maybe a bit overboard and some obvious. Once I started it, I couldn’t stop. 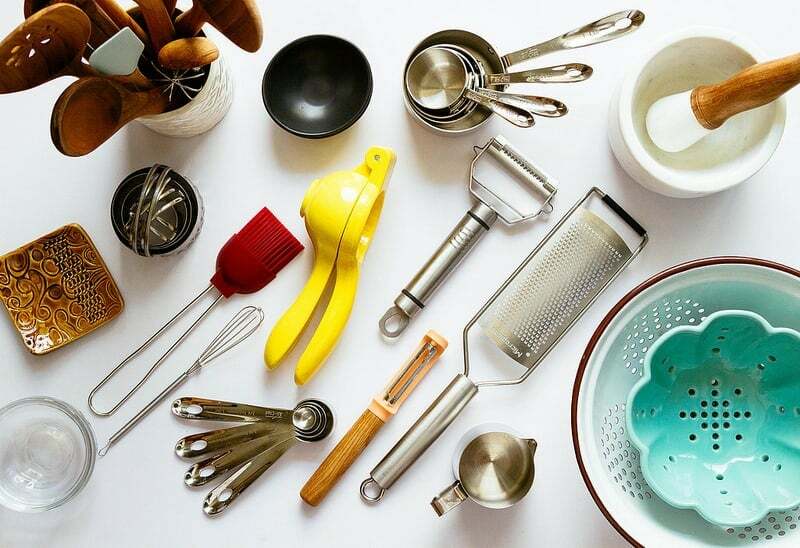 Of course you don’t need all these kitchen tools and can make do with some of the basics. This is what’s in my kitchen after a few years of accumulation and are noted here because they are useful to me. Hopefully this can be a good guide to get you started or think of something you may have overlooked.